Aside from a brief involvement with Bonnie and Clyde (eventually directed by Arthur Penn, 1967), there is no area of Jean-Luc Godard’s North American career in which Tom Luddy does not figure. A resident of San Francisco (he has a cameo in Philip Kaufman’s Frisco-based Invasion of the Body Snatchers remake, 1978), curator of the Pacific Film Archive, producer for Francis Ford Coppola’s American Zoetrope and co-founder of the Telluride Film Festival, Luddy was an important American contact for several French auteurs, having worked with Barbet Schroeder, Chris Marker and Agnès Varda. But it is his collaboration with Godard – a collaboration stretching back almost 40 years – that is the most fascinating, not just in terms of the films actually realised, but also of those that were never made, or left incomplete. When, and under what circumstances, did you first meet Godard? Richard Leacock and D. A. Pennebaker distributed La Chinoise  in this country, and in conjunction I did a complete, at that point, Godard retrospective at UC Berkeley where the film premiered with Jean-Luc Godard in person. He was in LA to show the film there, and I think I met him there just before Berkeley with Jacques Demy and Agnès Varda, who were friends. I assisted Agnès on two shorts she made in San Francisco in 1967: Black Panthers and Oncle Yanco. I think I drove JLG to a screening at USC where King Vidor and Fritz Lang – maybe Rouben Mamoulian, too – saw the film. I also took JLG to a “Free Huey Newton” rally. In the Autumn of 1968, Godard began shooting an American film produced by Richard Leacock and D. A. Pennebaker, who were also functioning as cameramen. Intended as a portrait of the US, this film – known as both “One A.M.” and “One American Movie” – was never completed. What was your involvement with “One A.M.”? I assisted JLG and Leacock-Pennebaker in the shooting that took place in San Francisco and Berkeley with Tom Hayden, Eldridge Cleaver and others. In what way did you assist? For example, Godard wanted to interview a prominent Black Panther for the film, so my job was to track down Eldridge Cleaver, give him some cash and get him to agree to be filmed by Godard, which we did just a few days before he went underground – to Cuba, if I recall correctly. Do you know why the film was never finished? I seem to remember JLG getting frustrated that he couldn’t tell whether Leacock or Pennebaker were filming their own film about the film he was making or shooting for him. Did Godard abandon the shoot without completing the film, or was it that he finished shooting, but didn’t bother to edit the footage? I don’t think there was any ‘script’ that was being filmed, so I am not sure how close to being finished the shooting was when JLG abandoned the film. In 1972, D. A. Pennebaker assembled some of the material that he – but not Leacock – had shot for “One A.M.”, using both footage intended for Godard’s film and footage showing Godard at work, into a feature entitled One P.M.. Were you involved with this project during the period when Pennebaker was assembling the footage into One P.M.? I would see Pennebaker from time to time in NYC when he was editing One P.M..
How did all this lead to the Dziga Vertov tours? Were they Godard’s idea? I was involved in left-wing film activities in Berkeley and JLG asked me to coordinate tours – involving himself and Jean-Pierre Gorin – with Dziga Vertov films, which I did – I think twice – as a kind of agent or unofficial US member of the Dziga Vertov Group: Yale, Illinois, Minnesota, Iowa, Berkeley, Ann Arbor – big audiences. Was the idea that Godard would function as a kind of visiting lecturer or was it more free-form? Godard and Gorin would introduce screenings and answer questions after, and in the daytime we’d have meetings with activists, filmmakers, students, etc. Did you and Godard remain in contact during the ’70s? Yes. And Jean-Pierre Gorin moved to California and became my best friend. I’d been here [in Los Angeles] for a couple of years, getting nowhere. People would tell me I was an unknown quantity and had to associate myself with something like a book or a play that had its own currency if I was going to succeed. I don’t remember exactly how I got the idea to remake Breathless, but it seemed to have all the ingredients – it was well-known, but not actually widely seen in this country, and, in its essence, it was a very American story (‘Dedicated to Monogram Pictures’). Of course, as soon as I had the idea, I was embarrassed by my own presumption, and probably wouldn’t have pursued it if other people, particularly Kit Carson, hadn’t pushed me. I mentioned it to a friend of mine, Tom Luddy, who at the time ran the Pacific Film Archive. He was friendly with Godard and kindly called him on my behalf. And JLG very generously gave me a free option. A few months later, he came to L.A. and we signed some papers and I got to chauffeur him around for a couple of days. It wasn’t until five years later, when we were actually about to make the film, that we discovered he had given or sold the rights to a couple of other people as well. – Jim McBride, e-mail to the author, 10 May 2004. 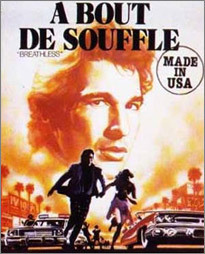 Was it at your suggestion that Zoetrope purchased the US distribution rights to Sauve qui peut (la vie) in 1980? I arranged for Zoetrope to produce with JLG a film about Bugsy Siegel, entitled “The Story”. We paid JLG in advance, and he took up residence at Zoetrope, did a treatment, had some meetings with actors, and went to Las Vegas with Francis Ford Coppola and me. He said he could not make the film right now and suggested that for half of what we paid him we take the US rights to a film he would make in Suisse, Sauve qui peut (la vie), which we did. We then arranged distribution – with New Yorker Films, as a “Francis Ford Coppola Presents” attraction – when he finished the film, which was released here as Every Man for Himself, and we supervised the PR. After Sauve qui peut, he still did not come back to “The Story”, and we suggested applying the rest of the money we advanced him to his next film, Passion (1982). We got the rights to Passion for ten years and arranged for distribution with Sony Classics, again as a “Francis Ford Coppola Presents” attraction. 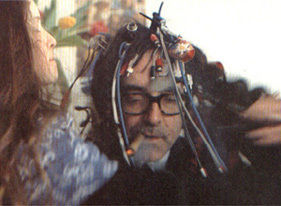 According to certain sources, Godard shot some documentary footage on the set of Coppola’s One from the Heart (1982), focusing on a single individual – sometimes Coppola or cinematographer Vittorio Storaro, but just as often an extra, a technician or one of the dancers – and following them for 10 minutes (the length of a reel) as they participated in the making of Coppola’s film. Footage corresponding with this description was screened on Channel 4 in 1985 as part of a Vittorio Storaro profile in the series, Visions. Luddy, however, does not recall Godard working on One from the Heart in this capacity. I did go to Las Vegas with Jean-Luc and Francis Ford Coppola and there was talk of JLG doing some background plates in Vegas, but nothing came of that as Francis decided to create his Vegas entirely in the studio with no second-unit shooting for plates or background. JLG did shoot a sequence for Passion with help from some of the One from the Heart crew, including Storaro, on one of Zoetrope’s sound stages. This did not end up in Passion, but was instead used in the parallel film, Scénario du film ‘Passion’ (1982). Do you know which scene in Scénario was shot at Zoetrope? It was a big elaborate shot photographed by Vittorio Storaro. Only fragments of this shot – which shows a camera crane gliding past a white background – appear in Scénario du film ‘Passion’. They can be found 19 and 43 minutes into the film. Godard’s next American project was born in May 1985, when Menahem Golan met Godard for lunch during the Cannes Film Festival and agreed to put up one million dollars for a film of King Lear, to star Norman Mailer as Lear and Woody Allen as The Fool. The contract was written and signed immediately on a restaurant napkin. Luddy was brought on board as the film’s producer. Do you know if the famous napkin still exists? Last time I saw that napkin, Golan had it framed in his office. Colin MacCabe’s Godard biography, Godard: A Portrait of the Artist at 70 [Bloomsbury, 2003], mentions you and Godard interviewing a series of well-known American actors for King Lear, and includes a hilarious anecdote about your meeting with Tony Curtis. Do you recall whom else you spoke to? In 1986, Godard made a short entitled Meetin’ WA, which was essentially a 27-minute interview with Woody Allen. Was this shot during the period that Allen was acting in King Lear? I was the one who got Woody committed to King Lear, but JLG kept procrastinating and didn’t have any firm ideas on what to do with the film he had committed to make, and Woody was nervous. So, knowing that Woody’s current film, Hannah and Her Sisters , would premiere in Cannes, and knowing that Woody in those years never went to Cannes, I suggested to JLG that, in order to keep Woody engaged while JLG kept postponing the start of Lear, we speak to Gilles Jacob [Délégué general of the Festival] and propose that JLG film an interview with Woody on Hannah that would be a surprise in Cannes and would take the place of the usual post-premiere press conference with the director. JLG loved the idea, as did Woody and Gilles, and we got some money from Cannes and some from Swiss television, and the film ended up being more creative than a simple interview with Woody. Woody Allen ended up playing only a small role in King Lear (as a character named Mr Alien), while Norman Mailer walked off the project after shooting one scene (two takes of which were nevertheless used in the final cut). The cast also included theatre director Peter Sellars, Leos Carax (who had just finished Mauvais Sang, 1986) and Julie Delpy … but not Quentin Tarantino, who used to claim he had acted in Godard’s King Lear thinking this would make an impressive addition to his résumé, and assuming that nobody who was in a position to give him work (he was a struggling actor at the time) would have seen the film. Freddy Buache plays a character named Professor Quentin in Lear, which may have been what gave Tarantino the idea. I think I did hear that Quentin Tarantino story. JLG knew Leos Carax and Julie Delpy and, after things began in Nyon, he asked them to come to join the cast. Peter Sellars was the true catalyst for the film, to get JLG off the dime and, in a way, to give the film a main character. Is there any connection between King Lear and The Story, the Bugsy Siegel project you mentioned? At one point in Lear, Don Learo (Burgess Meredith) tells Cordelia (Molly Ringwald) a story about Bugsy Siegel and Meyer Lansky. Perhaps this was an in-joke reference to the unmade project. No connection that I remember. Godard’s King Lear […] has the peculiar effect of making everyone connected with it in any shape or form – directors, actors, producers, distributors, exhibitors, spectators, critics – look, and presumably feel, rather silly. – Jonathan Rosenbaum, Chicago Reader, 8 April 1988. Do you know what Menahem Golan’s reaction to the completed film was? It’s pretty clear that King Lear is in some way a personal attack on him. The soundtrack of the opening scene seems to be a recording of an actual telephone conversation between Golan and Godard. Did Golan raise any objections to this being included in the film? The opening was a phone conversation between me in Telluride, JLG in Rolle, Norman Mailer in Provincetown and Golan in LA. JLG recorded it without anyone’s knowledge or permission. Golan saw the film in Cannes and was very upset by it, but in the lobby after the screening Leah Van Leer from the Jerusalem Festival ran up to him and told him it was great and invited it for the Festival. This mollified him a little. 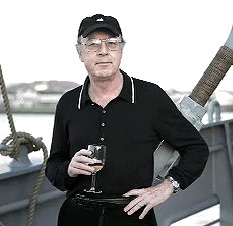 What kind of relationship have you had with Godard in the 18 years since you last worked together? Brad Stevens is the author of Monte Hellman: His Life and Films and Abel Ferrara: The Moral Vision. He has recently contributed multiple entries to Chris Fujiwara’s The Little Black Book: Movies and commentary tracks for the Masters of Cinema DVDs of Nosferatu and Tabu.